How do we handle slides like this? We try to find a way to visualize the information on the slide to reduce the amount of text. Why can’t I put all the words on the slide? Can’t people read these days? Are we trying to make stained glass picture windows for people to understand concepts? Why can’t I put all the words on the slide? 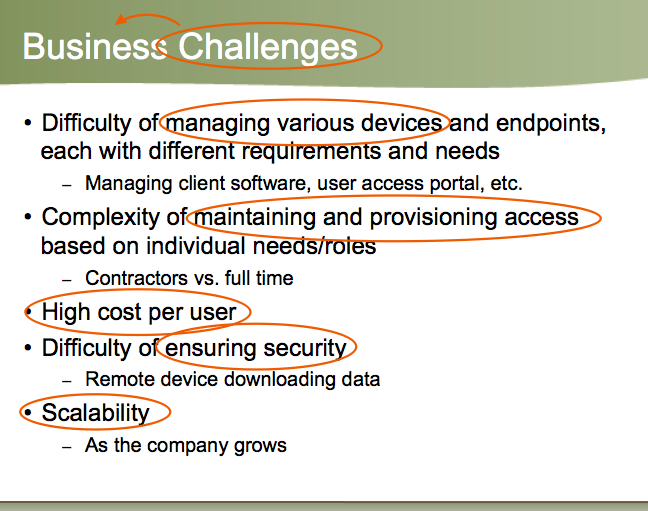 Look at the image above: That’s why we can’t put all the words on the slide. For realistic concepts, our minds could process literal representations much more quickly than a verbal description of them. It’s an abstract way of thinking, a conceptual way of thinking about something. A literal representation will process it more quickly. That’s why we want to try to incorporate visuals, to help people understand. 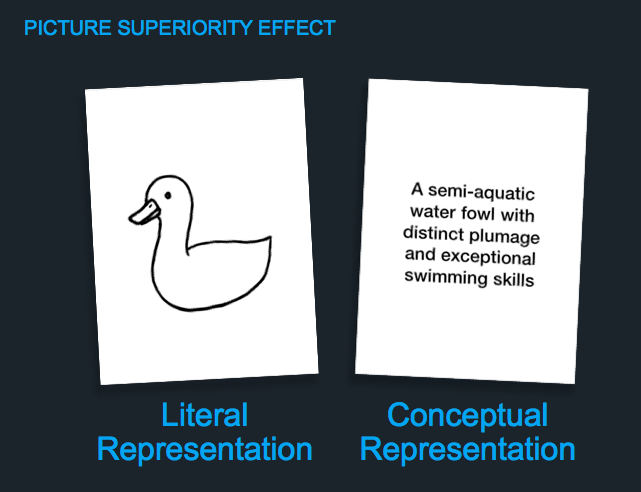 This is referred to as “the picture superiority effect”, which happens when pictures or literal representations are more helpful in the process. You must identify the core message. 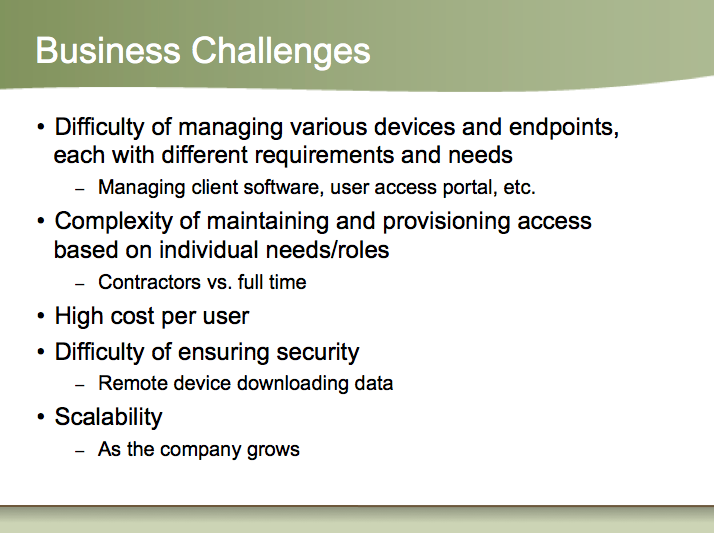 For the slide above, “Business Challenges,” we can assume there are five challenges that should be highlighted. 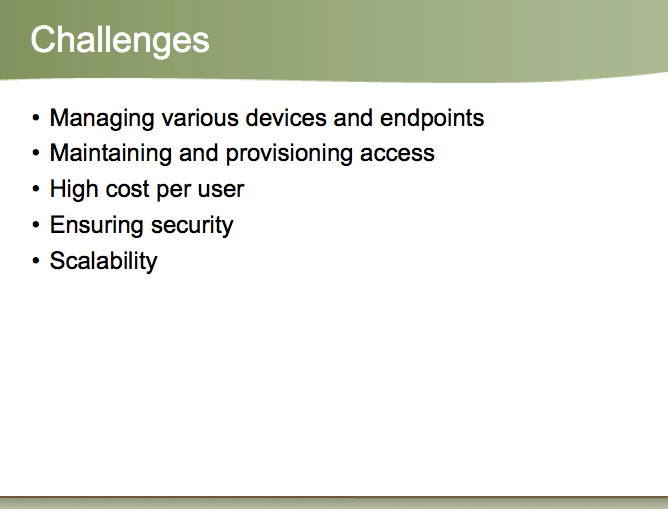 Managing devices, maintaining and provisioning access, high costs, ensuring security and scalability. The first pass helps us understand these are the core things we want people to remember. There is other information that is probably very important, but we want them to walk away with the few key things. Take all the extra information and put it in the presentation notes. Now, only the core message remains on the slide. It’s much easier to work with a simplified version like the slide directly above than the original slide with way too many words!